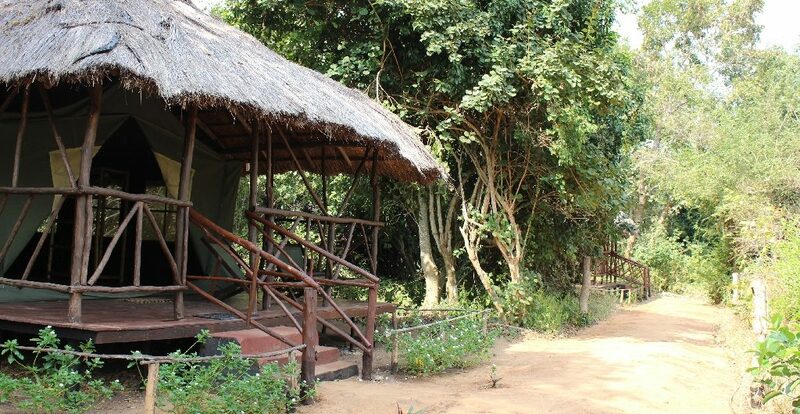 Zarafa Tented Camp: There are 3 permanent tents and 1 Banda. 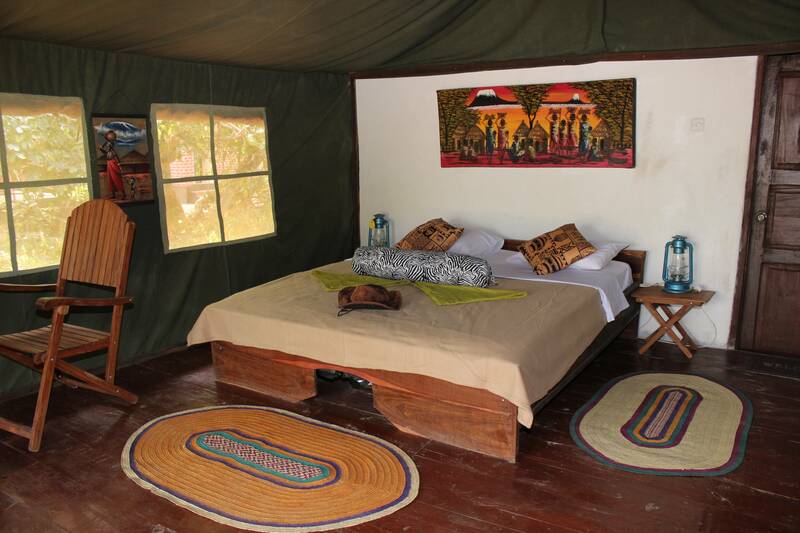 A tent and a Banda occupy 2 double beds (6’ x 7’), 1 double beds (6’ x 7’) and a single bed (3’ x 7’). The total occupancy is for 14 adults. 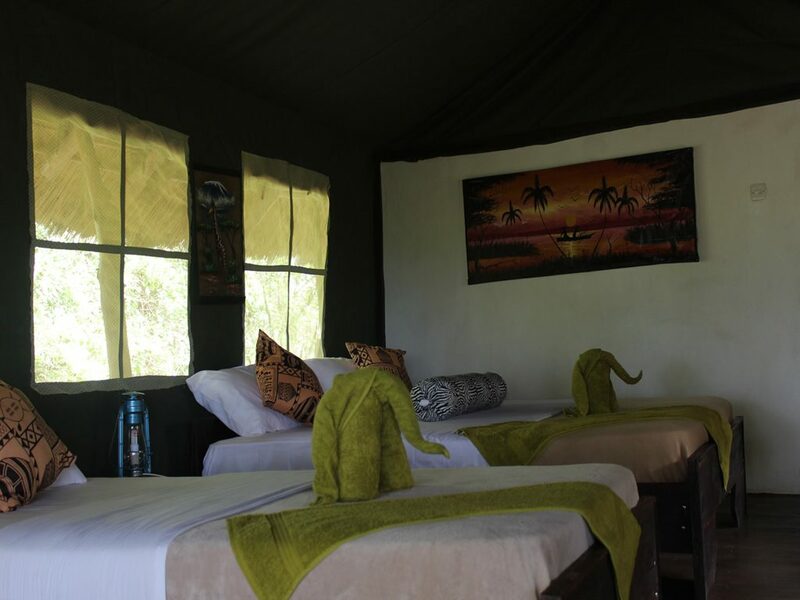 The tents/ banda are spacious and semi-luxury under the expansive makuti thatch structure traditionally styled with custom-made furniture and handcrafted African décor. The tents / banda areas are appox. 26sq meters and the bathroom areas are approx. 6sq meters. Rooms contain cupboard and a writing table with 2 chairs. 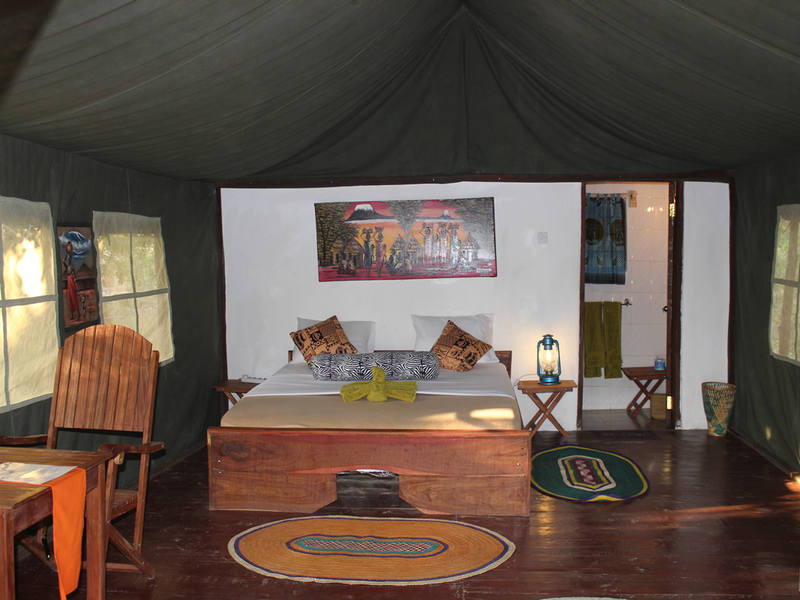 Each tent/ banda has a private veranda accommodating 2 lazy chairs with the view over the Rufiji River. 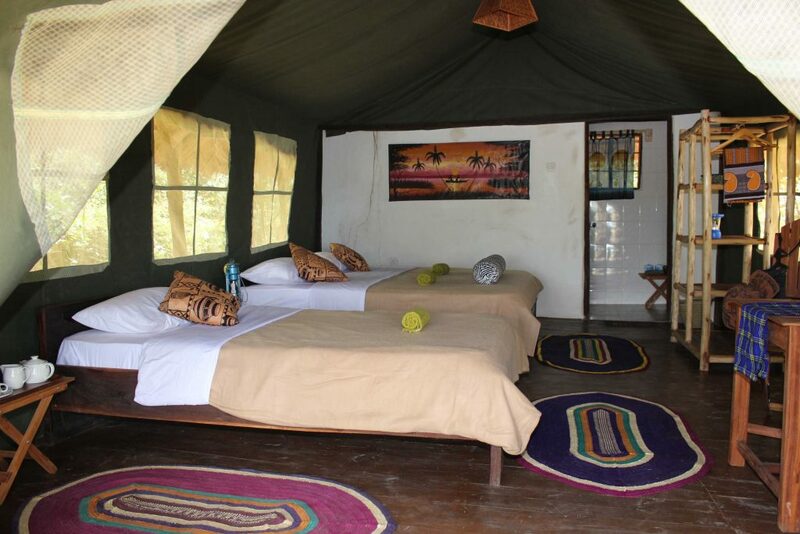 The doors and windows of the tents / banda are mosquito proof and they have excellent ventilation. 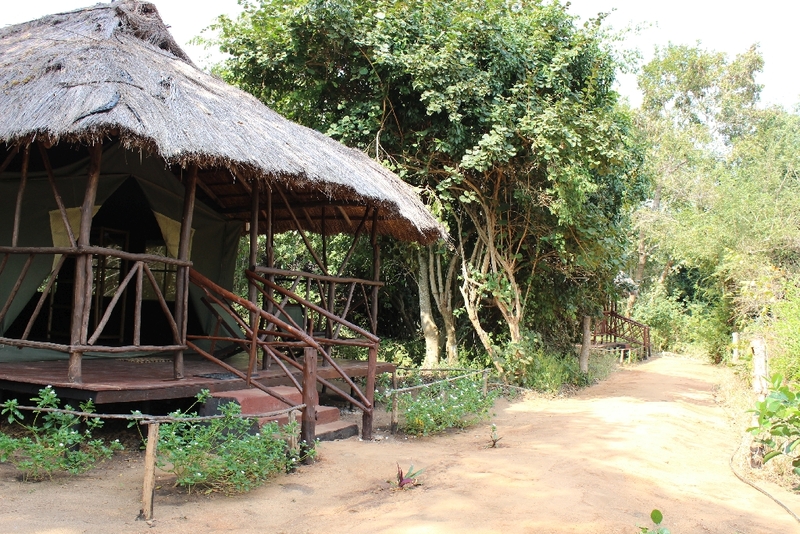 Open sided, well stocked Bar with spectacular view of the river and sunset with thatched roof and rural African decor. The dining area is lit by candle and lamp light in the evenings. Meals are made with fresh ingredients and are served on a set menu. Candle/lamp light, Generator powered lighting and access to an electrical multi plug point of 220V for charging gadgets from 6pm – 10pm. Meals are served on a set menu. We are able to cater for special diets upon request. A selection of teas and coffee are available during evenings from the dining area upon request.